The 2015 Nissan Pathfinder proves once again why it's a reliable, refined yet rugged SUV for transporting your family or friends, or hauling your surfboards out to South Florida's sunny beaches. The friendly staff at Wallace Toyota in Stuart, FL, serving the communities of Port St. Lucie, Palm City, White City and Jupiter, FL, invite you to boogie board on down to our dealership so we can show you our large inventory of 2015 Pathfinders. We're sure to have one in stock that suits all your needs. Let's see how the 2015 Nissan Pathfinder stacks up against the Toyota Highlander. The multi-award-winning Nissan Pathfinder continues its stellar tradition with the 2015 Pathfinder. Powering this sculpted SUV is a 3.5-liter, V6 engine with 260hp and 6-speed FWD or available AWD CVT automatic transmission. ABS brakes and Hill start assist and descent control are also standard features. 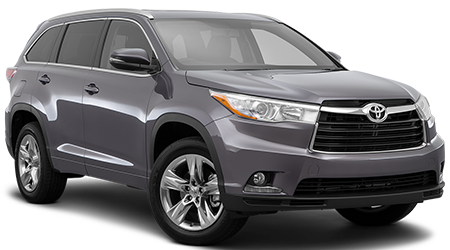 The Toyota Highlander is powered by two available engines -- either a 2.7-liter 4 cylinder with 185hp, or a 3.6-liter V6 with 270hp. It also comes with available AWD. But apples-to-apples, the Pathfinder's single V6 engine makes it a more powerful machine. 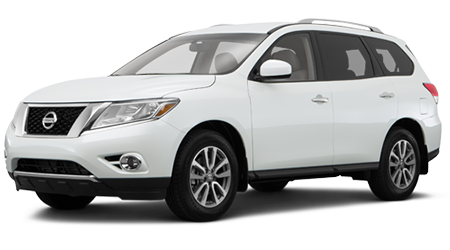 With its larger overall dimensions, the 2015 Nissan Pathfinder can transport passengers more comfortably than the Highlander. Headroom in the Pathfinder front seats is a spacious 42.2 inches while the Highlander only manages 40.7. For 3nd row passengers (who always tend to be cramped unless you're a kid), you get 37.8 inches in the Pathfinder vs. 35.9 in the Highlander. Plus, when it comes to 3rd row seating in mid-size crossovers, leg room can also get quite tight. But not in the Nissan Pathfinder, as the third row offers 30.7 inches of legroom, compared with the Highlander's cramped 27.7 inches of space. A huge difference. When it comes to towing capacities for mid-size crossovers, few can beat the ability of the 2015 Pathfinder. During your travels down South Florida's sunny streets, if you're looking to tow a boat or trailer, all models and trims of the Pathfinder can tow a maximum of 5000 pounds when properly equipped. By contrast, the base Toyota Highlander can only tow 1500 pounds while you need the much more expensive Limited model in order to reach the Highlander's top towing capacity of 5000 pounds. So if you're looking to tow cargo, the 2015 Nissan Pathfinder is the way to go.